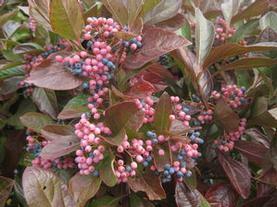 'Viking' Black Chokeberry has glossy dark green leaves which turn a striking red in fall. 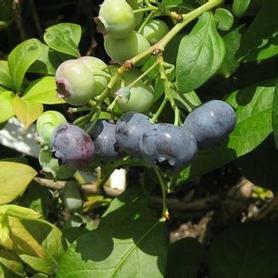 The white, spring flowers are followed by large purplish black fruit, which birds love (and they are full of anti-oxidants). 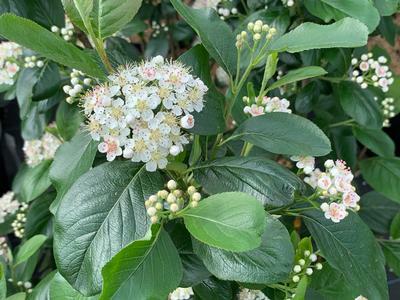 The site adaptability (Aronia melanocarpa 'Viking' likes both wet and dry conditions) and the suckering habit make it an excellent shrub for reclamation use, as well as an attractive landscape plant. Dr. Mark Brand of Connecticut found this native beauty. 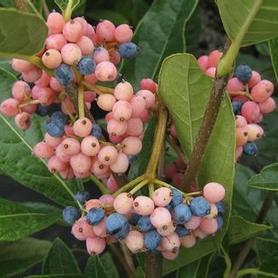 PRN Preferred: A good shrub for wetland reclamation plantings, a more compact variety with very large glossy foliage.